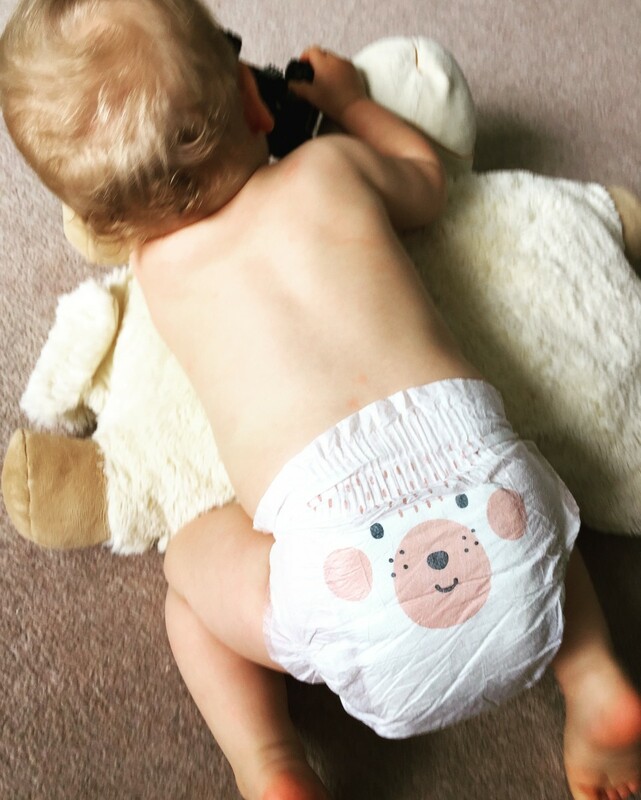 We normally use cloth nappies and disposable nappies combined – luckily my eldest is already toilet trained, so it’s a lot less nappy changes on a daily basis. With all the nappy changes we go through with each and every child, we add another about 6.500 disposable diapers to that already huge environmental impact what we create by using very convenient disposable diapers. That’s more than 8.000.000 nappies a day in the UK only. The conventional nappies really take their time to decompose: a few hundred years, scientists reckon SOMETHING IN THE RANGE OF 200-500 years. They are one of the largest contributors to landfill. Then, chulk up all the water waste during production too. Oh, and add all the bleaches, fragrances and colorants which are used when manufacturing big label nappies. 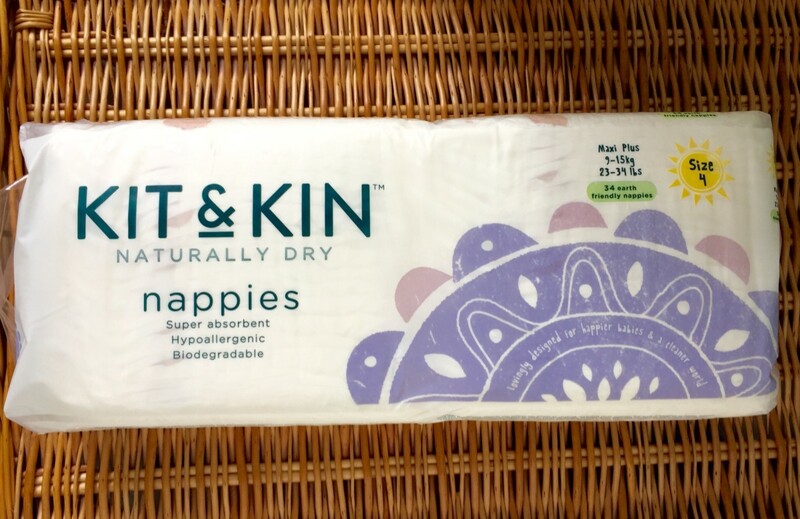 Luckily nowadays we can buy biodegradable nappies too and we have just tested a great new brand: Kit & Kin, co-founded by Emma Bunton. I always thought they are all very clever. Look at all the Spice Girls now. Entrepreneurs, mumtrepeneurs, producers, designers, also volunteers, UNICEF ambassadors, campaigners. That’s girl power for you! So, Emma’s little son suffered with eczema and she struggled to find baby products without harsh chemicals, and that’s how the idea of Kit & Kin was born. They are a perfect fit. My little girl currently wears size 4 nappies, so the sizing is correct. They are durable, lasted all night, no leakage at all. We also dealt with a little bit of teething lately, but the nappies are proved to be diarrhoea safe too. I love the design! So simple and cute. Just a cute animal face on the back and nothing else. Why waste all that coloring? They are just diapers. The nappies (as well as the packaging) will biodegrade within only 3 to 6 years. Kit & Kin is an ethical company: after every 10 Kit & Kin nappy subscriptions one acre of rainforest is being purchased through the World Land Trust. The single pack of each sizes cost £9.99, which is the same as other biodegradable brands. With a monthly subscription though, you can save up to 25%. Disclaimer: I received this product for my honest and unbiased review. Wow I had no idea that nappies took so long to degrade! That’s shocking!! These sound like such a great alternative! These sound amazing! And they have an amazing story behind of them. 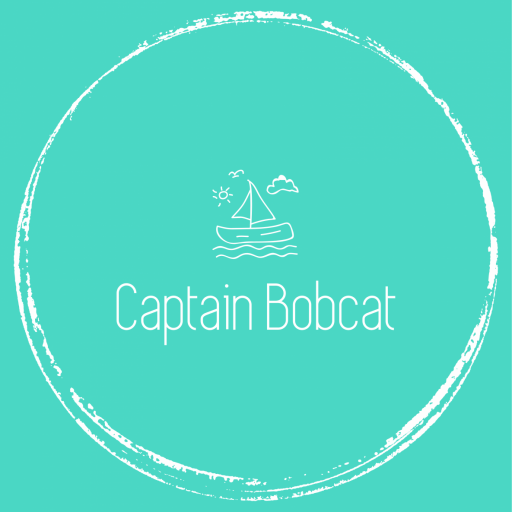 Find the link in the post, you can order them online. We are a cloth bum family too but used eco disposables for holidays and now that our son is potty trained in the day I am thinking of switching to a disposable at night. These sound great and I really love the simple face design on the back. These sound fab, we used reusables for the first six months but she outgrew them before we could afford to replace them and I haven’t found a suitable alternative yet so these look promising! I don’t understand that either. I mean it cannot be that expensive to manufacture them. Especially if you compare the prices. I have been looking for decent bio degradable nappies for a while now and just stumbled upon this. They are so cute with is a bonus! Definitely going to try these. Thank you. They are hard to find for sure. Which I found odd. Given the technology is surely available, big labels should produce them too.